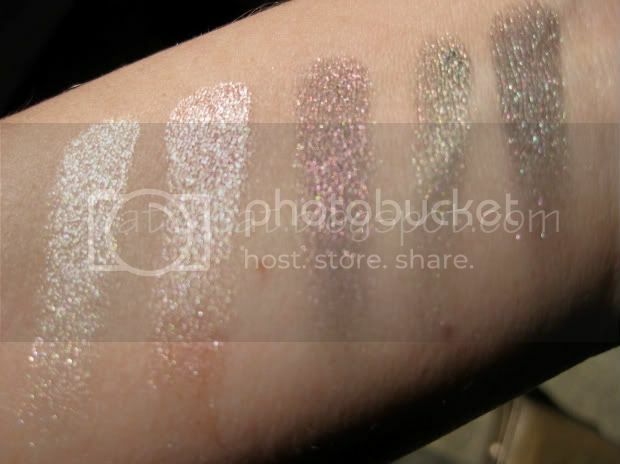 In an effort to get all my seasonal relevant posts out of the way, I've got a few items from Collection Les Perles De Chanel from Spring 2011 that I swatched. I know winter juuuuust got under way, and spring seems like a long way off, but perhaps these goodies will get in you the mood. 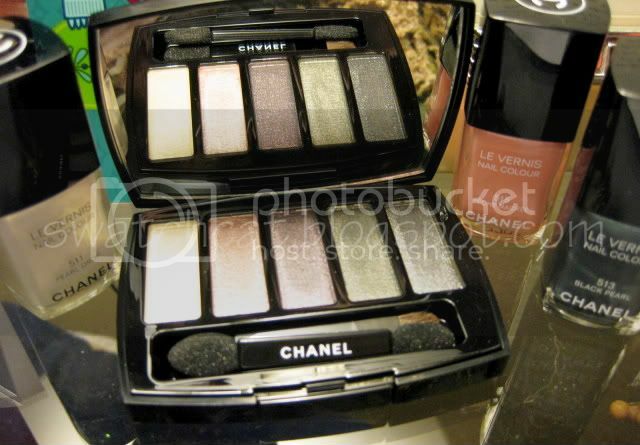 I'm also not one to limit colors to a specific season, and these Chanel spring colors are very versatile. From the collection, I picked up all three Le Vernis, Black Pearl, Pearl Drop, and Peach Nacree, and the Ombres Perlees quint. 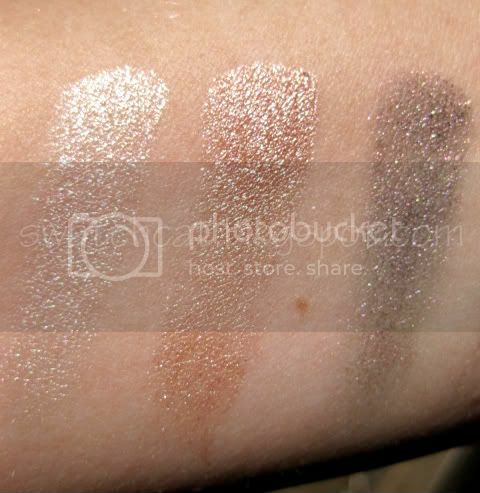 Click the jump for the swatches! 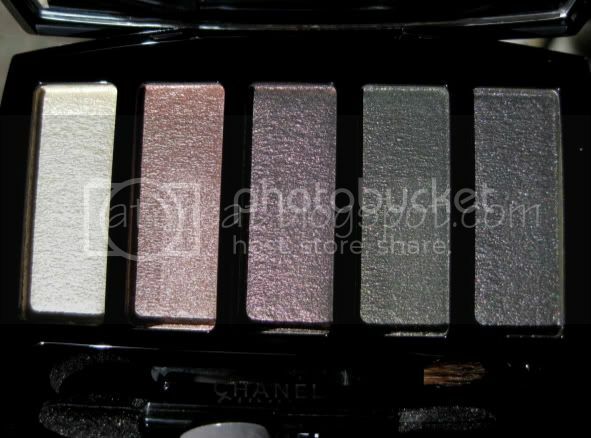 The Ombres Perlees quint features five pearly colors, a pearly white with golden sheen, a pearly peach with a pink sheen, a deep pearly greyed-violet with a pink sheen, a pearly olive with a golden sheen, and a pearly charcoal with a golden olive sheen. The colors all go on sheer initially, but are quite buildable. The lighter two colors do verge on frosty, but that can be easily mitigated by using them sparingly. 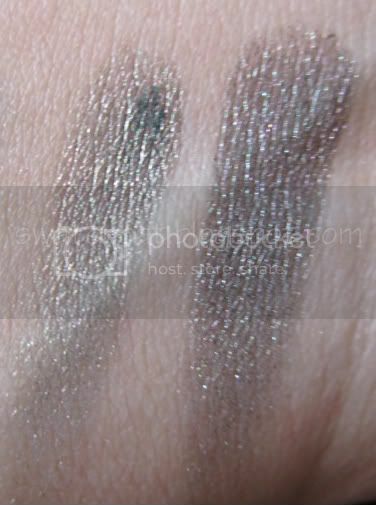 Black Pearl Le Vernis is the much ballyhooed piece of the collection, and it does live up to all that hype. 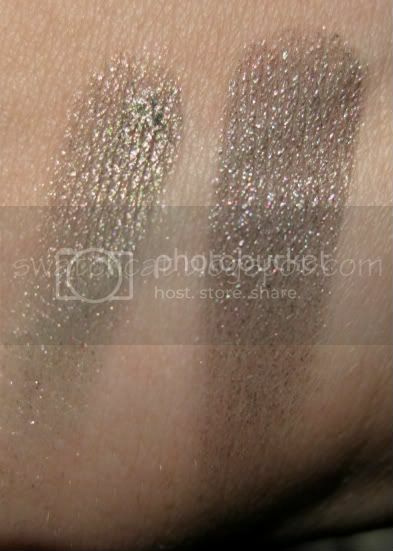 Black Pearl is a pearly charcoal with heavy teal-green sheen, just like a black Tahitian pearl. I've never seen a polish quite like it. As with most dark Chanel polishes, Black Pearl is heavily pigmented and only required two coats for full coverage. I did three anyway. Pearl Drop is a beautiful pearly white with a golden sheen. 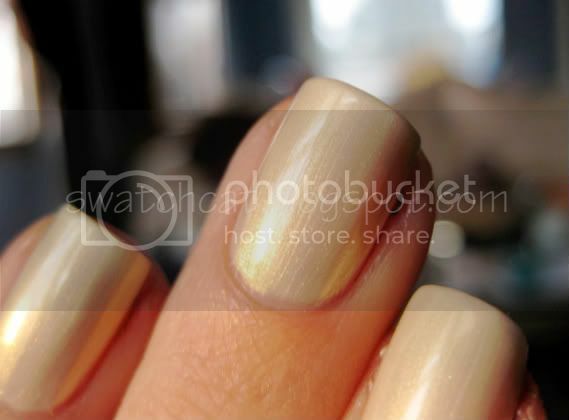 This color is just so gorgeous, especially when it glimmers in the sunlight. 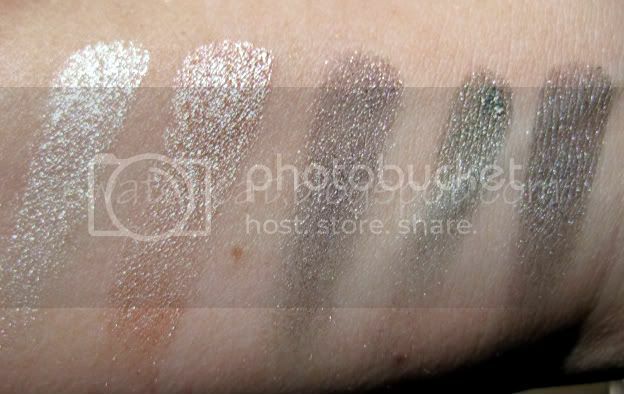 I know Black Pearl is supposed to be the gem of the collection, but I think all three polishes are equally gorgeous in their own right. Pearl Drop is on the sheer side, it took four coats to reach opacity, and the first couple were streaky, however that is due to it having a white base. Most polishes with white bases apply streaky to begin with, then even out (hence the reason pastels are streaky - the white base). Pearl Drop is well worth the patience to apply it evenly. Peche Nacree is a gorgeous pearly peach with a hint of pink and a pale pink pearl finish. Like the other two, this color just glimmers in the sunlight. This is pearly, peach polish done right. Collection Les Perles De Chanel is online now and at counters. The quint retails for $65 and the polishes retail for $23 each. Wow, i love that quad and the nail polishes! 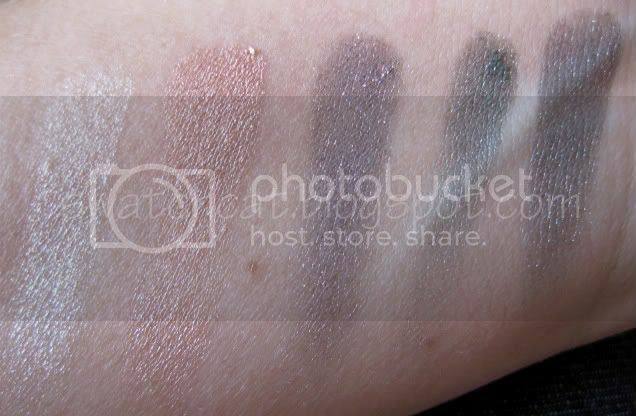 Your swatches confirm, the quint will be mine. I was not sure if the colours are special enough and if the finish is not too frosty, but it does not look to be the case. 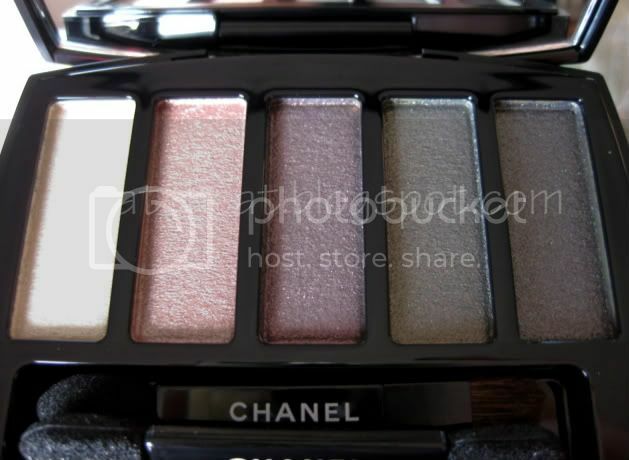 And I will also be getting Pearl Drop, I love the subtle way it has, even if it is sheer. 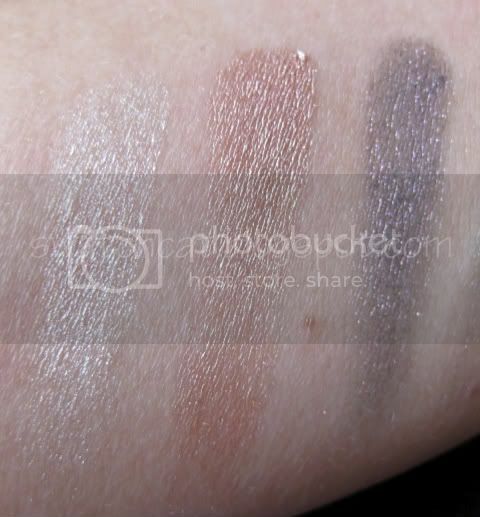 Thanks for the swatches and Happy New Year! Sure thing! Pearl Drop really is glamourous, like Kathleen said. And that quint...just too darn pretty!